Wait in the designated staging area pictured above located here. Only drivers within the designated staging area are added to the queue. The staging area is a strictly no-smoking zone. The staging area is located close to airplane fuel reserves and therefore is a potential fire hazard for open flames and lit cigarettes. Pick up passengers from Arrivals, at the location of your passenger's pin in the app. Do not wait or circle back at the airport if the passenger is delayed when picking up. Instead, head to the staging area or ask the passenger to cancel and request another ride when they are ready. Wait for requests in the Cell Phone Lot (Open in Google Maps). You must park in one of the 10 available spaces designated for Lyft. If there are no available spaces, you must leave airport property. 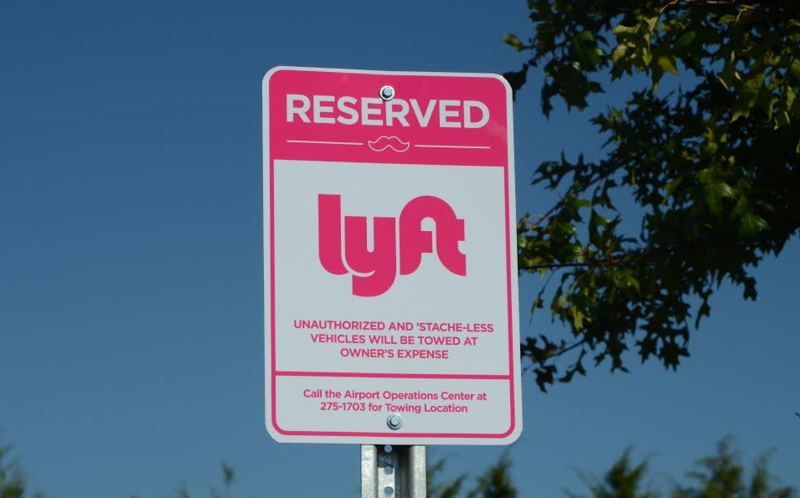 Beginning 3/1/2018, Lyft will be piloting "Rematch" at MEM. This feature enables you to be matched with additional passenger(s) shortly before or after completing a drop-off. This means you can receive a pickup request up to 2 minutes after dropping off a passenger without returning to the staging area. Starting on 3/1/2018, pick up passengers from departures on the upper level at the 3 designated areas by each terminal's crosswalk. When you approach the upper level, veer to the left and pick up your passenger from the outer left lane (Commercial Vehicle Lane). Wait in the Cell Phone Lot if your passenger is delayed when picking up. You must park in one of the 10 available spaces designated for Lyft. If there are no available spaces, you must leave airport property. Drop off passengers at Departures on the upper level at your passenger’s carrier of choice. Be sure to unload passengers in the outer lane (Commercial Vehicle Lane) unless otherwise specified by the passenger or if they require special assistance. Do not wait at the airport terminal after drop-off. If you'd like to wait for additional requests, head to the Cell Phone Lot. Beginning 12/20/2018, pickups take place inside the new Ground Transportation Center in the far right lane. To access this building, take the first right onto the ramp after exiting the Rideshare staging lot. There will be signs directing you towards the appropriate area. If your passenger needs longer than 20 minutes, use the designated staging area (pictured above). If there are no available parking spaces, you will need to leave airport property. Do not pick up passengers on Level 2. Drop off passengers on the Departures (Level 3) at the passenger’s carrier of choice. Do not drop off passengers on Level 2.